MCTs or MCT oil has been gaining popularity in fitness circles lately, with athletes claiming the extraordinary oil gives them more energy, boosts their metabolism and burns fat like nothing else. For those on a ketogenic diet, MCTs are even more of a hot topic. Without getting too much into the science of things, MCT is the abbreviation for Medium Chain Triglycerides which, are different than the Long Chain Triglycerides found in most foods. They’re also called MCFAs for Medium Chain Fatty Acids. The “medium” refers to the length of their chemical structure, since all fats are made up of carbon and hydrogen. MCT mainly consists of caprylic and capric fatty acids. It’s a yellowish, odorless and translucent liquid that looks like oil. In fact, MCT oil occurs naturally in coconut oil, palm kernel oil, cheese, butter, whole milk and full-fat yogurt. MCTs are very easy for the body to break down, absorb and use as energy. MCT oil was first used as a supplement to treat cystic fibrosis, obesity, fat mal-absorption problems like Crohn’s Disease, digestive disorders like leaky gut syndrome, gallbladder infections and even malnutrition, especially in infants. But more recently, you hear about MCT supplementation more among bodybuilders and dieting experts for its fat-burning, energy-boosting properties. A study published in the Journal of Obesity and Related Metabolic Disorders compared body weight and body fat in adults consuming long chain fats or medium chain facts over a three-month period. The only intake that differed in both groups is the types of fat they were getting. After 12 weeks,the MCT group had a greater decrease in body weight and body fat. 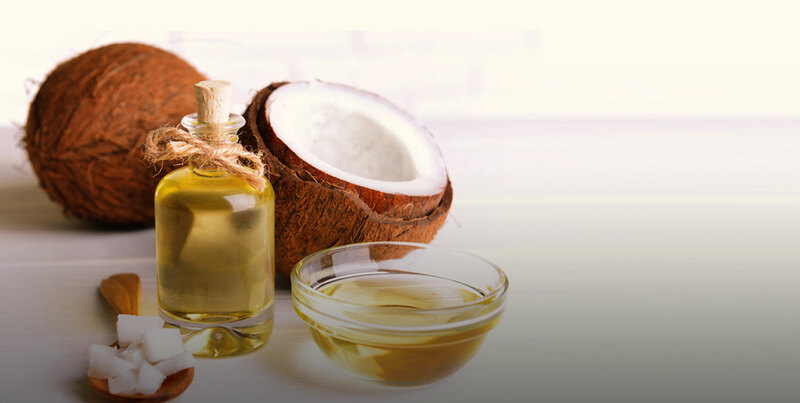 MCT Oil: The Fat That Burns Fat? MCTs bypass the digestion process that longer chain fats are accustomed to and go directly into the liver, so when they’re absorbed in the bloodstream they’re directly available to be used as energy. Because of this instant usage, they’re less likely to be stored as fat. In addition, more calories are burned for a better thermogenic effect when a meal includes MCTs. When more calories are used in the digestion process, fewer are stored, thus reducing body fat levels in total. No wonder athletes and fitness enthusiasts are all over this supplement! When keto dieting, the high-fat intake causes the body to switch from glucose metabolism to ketone body metabolism. So when MCT oil is metabolized in the body, it reacts more like a carbohydrate than fat. Unlike other fats, MCT oil doesn’t go through the lymphatic system, instead it travels directly to the liver, releasing energy and creating plenty of ketones along the way that can be used a fuel. This different way of metabolizing is what makes the MCT oil behave differently than other fats. So supplementing with MCT oil can also make keto dieting much easier for you. If you’re on a ketogenic diet and find that you have less energy in the first few weeks, don’t worry, you’re not alone. If you need an extra boost to help you train properly and maximize your time in the gym, try the first-ever ketogenic pre-workout supplement, BEST PRE WORKOUT™. The beta-hydroxybutyrate ketone and energy blend in this BPI Sports pre-workout formula will force your body to use fat as fuel while helping you save muscle mass (instead of breaking it down for energy purposes). You’ll experience long-lasting energy and enhanced mental clarity, productivity and focus. BEST PRE WORKOUT™ is ideal for intermittent fasting, ketogenic dieting, fasted cardio and low-carb diets. Weight Loss and Weight Maintenance: MCT oil can promote satiety and raise metabolic rate. Studies found that dietary MCTs suppress fat deposition through enhanced thermogenesis and fat oxidation in both animals and humans. So it’s believed it can help the body produce ketones, benefiting you like a ketogenic diet. Better Mood, Better Productivity, Better Mind: The Journal of Neurobiology of Aging found that MCTs in coconut oil helped improve memory in an older population. Since our brains are mostly made up of fatty acids, a diet with proper fat intake helps you have a better mood, perform better at work for more productivity, stay sharper in your later years and have more energy. Improved Absorption: Another health benefit to MCT oil supplementation is that it helps the body better absorb vitamins and nutrients like vitamin E, beta-carotene, calcium, magnesium and lutein. MCTs balance bacteria in the gut, virtually acting as a natural antibiotic, which results in positive effects on your digestive system. If you’re keto dieting, managing your weight or want to burn fat more easily, MCT oil may be right for you.